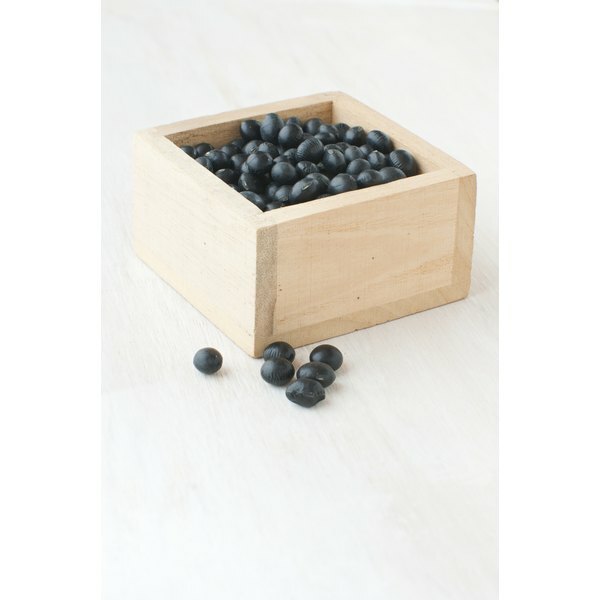 Touchi, or douchi, is a traditional Chinese seasoning made by steaming black soybeans and then fermenting them. Although research is still in the preliminary stages, touchi extract may have a number of health benefits, including lowering blood sugar and blood pressure levels and providing antioxidants. Speak with your doctor before adding this supplement to your daily routine, however, because it may not be safe for everyone. A study published in "Nutrition Research" in June 2003 found that touchi extract may help decrease blood sugar levels in people with borderline or mild type-2 diabetes. These supplements also helped lower triglyceride levels in this particular study. The study was small, however, involving only 47 people, so further studies are needed to verify these potential benefits. Touchi extract may produce substances called angiotensin I-converting enzyme inhibitors, or ACE inhibitors, according to a study published in "Food Chemistry" in 2006. These are often prescribed to help lower blood pressure. But further studies are necessary to determine whether touchi helps lower blood pressure in people, as well as how much touchi would be necessary to achieve this effect. A laboratory study published in "Food Chemistry" in April 2008 found that touchi extract is high in antioxidants and as such may help limit cell damage from substances called free radicals.The study found evidence that it helps limit damage to cells in the liver, but further studies using people are necessary to verify these beneficial effects. Touchi extract is considered safe up to a maximum daily intake of about 4.5 grams, according to the European Food Safety Association. A study published in the "International Journal of Toxicology" in September 2007 found no evidence of toxicity, cell mutations or adverse effects for touchi extract. The main safety concern due to the use of this extract is the potential for an allergic reaction because it's made from soy. Symptoms of an allergic reaction include hives, itching, swelling, difficulty breathing, nausea, vomiting, dizziness and anaphylaxis.